With China's GDP figures coming up in the coming days, FXTM's Lukman Otunuga talks to us about what their outlook on the Chinese Yuan is. He also comments on the Brexit extension in relation to the Pound, and why he's looking at Gold and the Dollar. FX markets were also tracking the inverting yield curve this week. 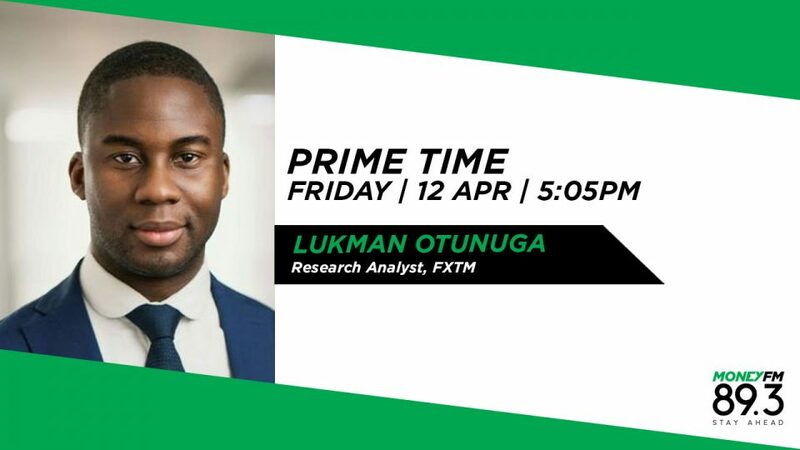 We asked FXTM's Lukman Otunuga for his thoughts on this, the flight to safehavens, and how the new Brexit developments are hitting the pound. Brexit developments have taken a new twist – sending the pound higher after the Labour Party signaled openness to a second referendum. But FXTM’s Lukman Otunuga thinks that folks just want to get on with it. We ask him about Brexit, the Pound and his thoughts on the Singapore Dollar. What’s the difference between a ‘hawkish rate hike’ and a dovish one, and what does this mean for Asian investors? Michael Switow asks FXTM research analyst Lukman Otunuga. Now that UK Prime Minister Teresa May has survived a vote of no-confidence, would you invest in British or European shares? Michael Switow chats with FXTN research analyst Lukman Otunuga.